Forex today witnessed good two-way price movement in the US dollar versus its main competitors, with a solid comeback staged from multi-year troughs below 90 handle knocked-off most majors lower. 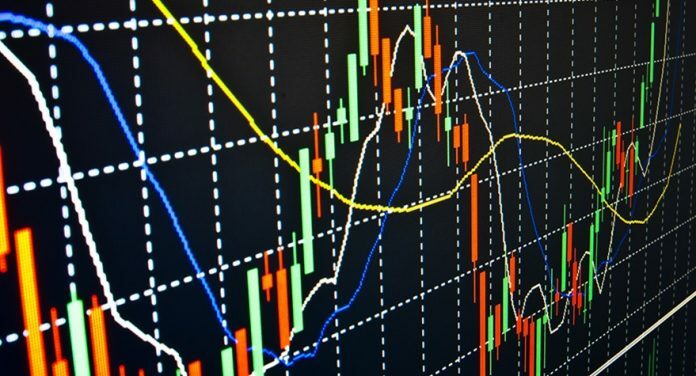 Meanwhile, the EUR, AUD, and GBP were offered into the technical selling while the Yen remained unfazed by weaker Asian equities and Treasury yields. Amongst the commodities, oil prices traded neutral ahead of the US weekly crude stockpiles data and gold prices held onto gains above $ 1340 levels. The Bank of Japan (BoJ) made no changes to the purchases of the Japanese Government Bonds (JGBs) in the 1-3 and 3-5 year maturities for today. As per Reuters news, US House Republicans are considering a stop-gap govt funding bill through Feb 16. If approved, it will be fourth such measure to keep govt operating since October. AUD/USD cut through resistance at 0.7978 (76.4% Fib R of Sep-Dec sell-off) and almost tested 0.80 levels after the data released in Australia showed the value of home loan lending rose for the second month in November. Reuters reporting the statement issued from the 'Co-chairs' on North Korea, following their meeting in Vancouver. The number of new graduate jobs fell for first time since the financial crisis as leading recruiters downgrade hiring plans due Brexit uncertainty says a survey of the UK’s leading 100 graduate recruiters. The EUR calendar continues to remain data-light for the third straight session, with nothing of note slated for release, except for the Eurozone final CPI report. Ahead of the NA session, we have the speech from the BOE MPC member Saunders at the Financial Intermediary and Broker Association inaugural conference, in London. The main risk event for the markets today remains the Bank of Canada (BOC) interest rate decision, followed by Poloz’ press conference. Markets are widely expecting a 25bps rate hike today. The EUR/USD rose to a fresh three-year high of 1.2323 a few minutes ago only to fall back below 1.23 levels, indicating the overbought technical conditions are likely coming into play. The GBP/USD pair failed once again to sustain above the 1.38 handle, now accelerating the corrective slide from fresh post-Brexit vote highs reached at 1.3836. The USD/CAD has been almost flat this week awaiting the rate decision by the Bank of Canada (BoC).